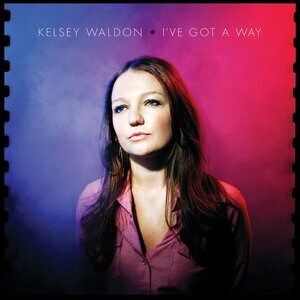 Kelsey Waldon's sophomore release brings us back to the days when country music was plainspoken. Waldon, an East Nashville transplant from the tobacco town of Monkey's Eyebrow, KY (really), knows how to craft a tune that is honest and sincere. There's no ridiculous dramatics here. Listening to I've Got a Way can make you feel like the '80s and '90s never happened to country music. Waldon's voice is pure country and tends to draw comparisons to Kacey Musgraves. Unlike Musgraves, though, Waldon isn't (as much as I love Musgraves for it) smug. Even her East Nashville scene diss track, "False King" gets straight to the point -- "You can't put a crown on the head of a clown/And I hope he turns out to be a king." Waldon's more poignant songs also deliver, of course, and illustrate her powerful self-reliance. And while I don't generally write about the technical stuff, her backing band is damn excellent, exuding an effortless cool that reminds us all why we were drawn to the genre in the first place. Is "False King" a dis on Todd Snider? I don't know enough Todd Snider to say...there's that lyric about finding someone who doesn't know what they're singing about? I took that as a comment on finding some pretty boy who may or may not have lived in the country or suffered any real setbacks and giving them a fake backstory and a record deal.